Fungi are capable of inhabiting incredibly diverse habitats. They may be second only to the domain Archea in their ability to inhabit harsh environments. To accomplish this, they have evolved a lot of unique adaptations. Saprophytes like Gyromitra esculenta have changed to fit their mode of nutrition. 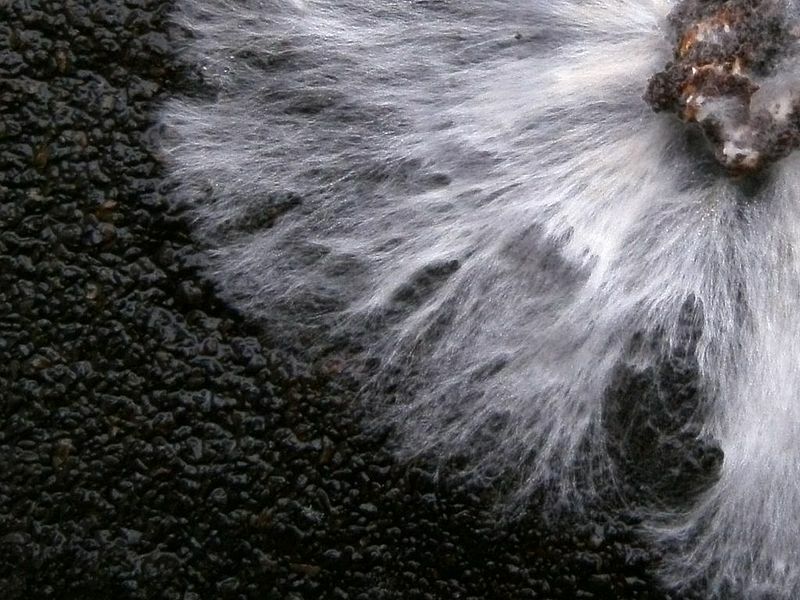 The root-like mycelium (right) is made up of hundreds of hyphal strands capable of moving through substrate collecting nutrients. There are so many to allow for increased uptake of water and food particles. The more branched the mycelium, the greater its chance for survival. Saprophytic fungi have it made. Think about it: all they have to do is have a spore land on something dead or dying and they’re golden. The mycelium grows through the dead organism, like a tree, collecting food. The fungus never has to worry about its food source running away. It also doesn’t care whether or not the sun is shining. Unlike plants, they can grow in dark places because they don’t need sunlight. This allows false morels to occupy the interior of a fallen log, for example. You may have noticed how wrinkly and folded the false morel’s cap is. This is not a design flaw; it is actually an innovation. The cap is convoluted to allow more surface area for asci to form. The more asci, the more spores. The more spores, the better the mushroom’s chances of successful reproduction. 4. Poisonous: The false morel is toxic, as mentioned on the home page. This modification protects it from being eaten by potential animal predators as well as intelligent humans! The toxicity page contains all the gory details about the how, when, and why of the false morel toxin. But before you learn all about the poison, be sure to visit the interactions page for some interesting ways this mushroom fits into its ecosystem. Pictures on this page were taken from Wikipedia.com.